The Authorize.Net® Payment Gateway helps more than 305,000 merchants accept credit card and electronic check payments quickly and affordably. 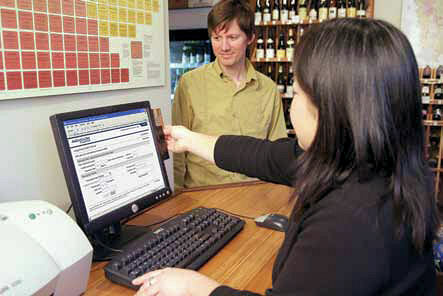 Authorize.Net's Virtual Point of Sale (VPOS) turns any Internet-connected computer into a point-of-sale (POS) terminal with the simple addition of an inexpensive USB Human Interface Device (HID) swipe card reader. VPOS is an easy-to-implement, easy-to-use, secure, and low-cost solution. Suitable for merchants of any size, VPOS is ideal for mall kiosks, doctors' clinics, lawyers' offices, trade shows, etc. Mobile point-of-sale (POS) solutions enable merchants to accept credit card payments where it is most convenient for their customers-in the aisle, outside the store or anyplace customers prefer to pay. Merchants with mobile sales teams or non-traditional storefronts can expand their business and increase revenue by accepting payments from customers anywhere, anytime.